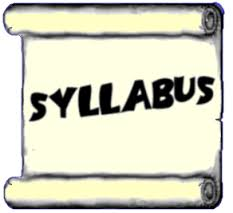 It is highly encouraged for Instructors to have their syllabi available for public viewing via CANVAS. 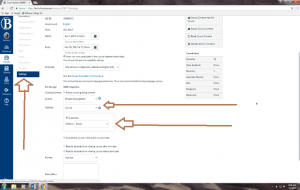 • In CANVAS, on your class site, looking at the left menu, make sure the syllabus option is visible. • Mark the syllabus “public” located in the settings section (down at the bottom). Go into settings (located at the bottom on the left-hand menu). scroll down to “Visibility,” make sure the word “course” is in the box. • After marking the syllabus “public,” go back to the syllabus page and copy the URL address and paste into a Request Center ticket under Arts & Humanities under the web posting option.. You may e-mail the link directly to Janis Juarez. For all ELI and Dev Ed syllabi please send to Seda Markarova. • This is a way for syllabi to be more consistent throughout the division and campus. • Changes are easily made on the CANVAS site, not having to submit revised, additional syllabi documents. • Transparency – Students will get a glimpse of expected workload. Is very helpful in the decision process of what classes to take in any given quarter. • Syllabi will be available to the public for future use. • gives an efficient method for the college to track syllabi information. • Reduces the amount of documents stored in the WordPress site. * A&H started this practice for syllabi spring quarter 2015 . The goal is to phase this method in for fall quarter 2015 with at least 80% participation. The ELI Department deserves special recognition for they have met and exceeded all expectations with our goal.